REVIEW: Sixthreezero (Around The Block) What's Behing This Bestseller? Sixthreezero Around the Block is the perfect choice for anyone who is looking for simplicity and practicality in an affordable and beautiful package. 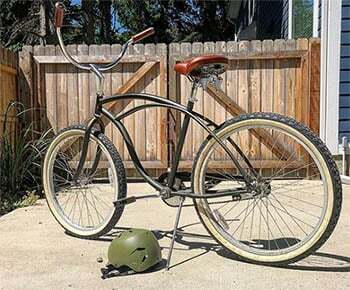 This steel-frame cruiser is easy to maintain and incredibly fun to ride! Let’s see, what’s behind this bestseller. 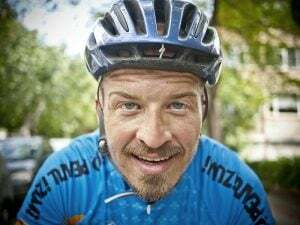 Sixthreezero is a USA-based company that is wholly dedicated to bringing simplicity and entertainment back into cycling. Around the Block is one of their best attempts of doing that, as you will see in our review below. 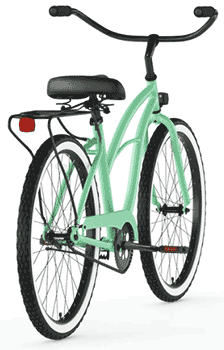 This is a beach cruiser bike with a steel frame that’s built to last you a lifetime. All of their bikes, including Around the Block, have a flamboyant style that works well both with the younger and the older population, so this bike is not just a means of transportation, but a fashion statement as well. 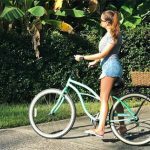 If your idea of the perfect bicycle is a highly customizable machine with a beautiful retro look that will make heads turn when you ride it along the beach or down your street, you will like what you see here. Sixthreezero Around the Block is very cheap, it costs around $250, so it is not made to withstand a lot of abuse. To get the most out of it, take it on 20-30 mile rides to relax, hang out with your family and friends, recharge your batteries, get groceries, or commute to work. The moment you take a look at Sixthreezero Around the Block, you get an urge to get closer and point your finger at all of the things that you like. In our case, the first thing that caught our attention was the unique and incredibly stylish frame, built in a retro style. The frame is constructed using steel, which increases the weight a bit, but the end product is not too heavy — you will be able to lift it up and carry it easily if need be. 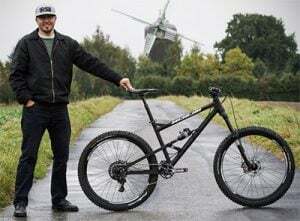 All Sixthreezero bikes are built around the so-called one-size-fits-all frame geometry which eliminates the stress of choosing the perfect size for your height and build. When purchasing the bike, just enter your height and weight, and a simple algorithm will tell you if this bike fits you or not. BUT, is means that Around The Block fits from 5′ to 6′ and up to 300lbs. If you buy the bike, but you do not like it, you can return it after 365 days in case you bought it from the company itself. That just tells you how confident Sixthreezero is that they have created a perfect product. Around the Block is not focused on performance and speed, but rather on comfort and fun. This bike has a laid-back geometry which puts your body in an upright position, eliminating the strain on your back. The retro handlebar is bent backwards, so your hands will be close to your body, which lowers the chance of shoulder pain as well. Since this is a one-size-fits-all design, you can easily adjust the bike for a better fit by lifting the saddle up or dropping it down, and by changing the position of the handlebar. This Sixthreezero bike has a frame that fits everyone, but you can customize a lot of other things about it to make it more suitable for your needs. The frame is available in two modern colors (matte-black and matte-gray), and the saddle comes in three colors (black, white, and brown), so you can easily give it a personal touch. Moreover, four variations are available when it comes to gears. There is a single-speed model, a 3-speed, 7-speed, and a 21-speed model. 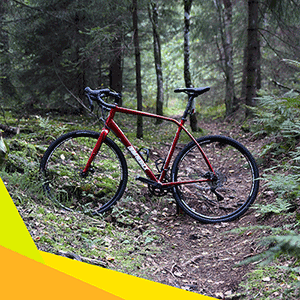 Therefore, you can choose the one that suits the terrain where you plan to ride the most. The single-speed one is easiest to maintain, but the 21-speed model gives you the most choice. It’s up to you! This model also comes with a front rack that can accommodate a baby seat or a grocery basket, and you can place a basket on the front as well. This way, you can easily carry anything that you need! Two wider, semi-slick cruiser tires are added to the recipe to ensure a soft and grippy ride in all conditions. The waffle-tread on these tires makes for a relaxed riding experience both on the slick city tarmac and on gravel roads. You will enjoy added control when cornering. But, the grip will not slow you down when cruising down a straight road or a bike path. Moreover, these tires look awesome as well because of the white walls which give them a beautiful contrast. The saddle on the Around the Block bike is soft and comfortable but gives you just the right amount of support in all the important places. 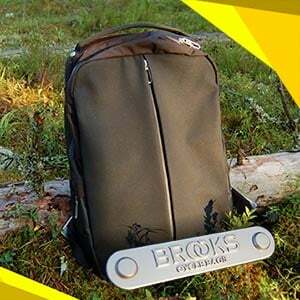 This is a single-spring saddle designed to eliminate any soreness so that you can take longer rides without any worries. The pedal position is one of the best things about this bike. The pedals are placed forward relative to the saddle, which eliminates the stress on the back. Moreover, it does not require you to raise your saddle a lot to get the perfect riding position. As we mentioned, this Sixthreezero model is available as a single-speed, 3-speed, 7-speed, and 21-speed model. 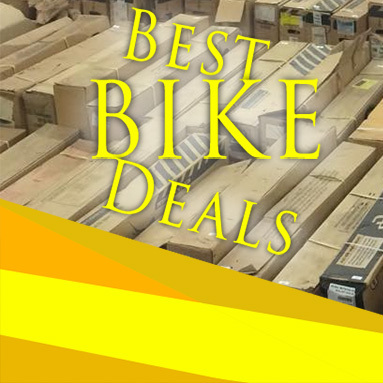 Depending on that, you might get one or two quality Shimano derailleurs, or none at all. They are not high-end class parts, but they still shift smoothly and precisely. When it comes to braking, the single-speed version has a classic reverse pedal braking system. However, the multi-speed models come with front and rear V-brakes. Either way, you will get the right amount of stopping power for a safe and fuss-free ride. Sixthreezero Around the Block is a fantastic bike, especially if you do not forget the fact that it costs just from $200! 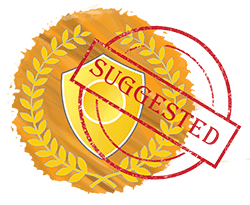 However, there are some aspects where we think it could improve a bit. The biggest one of all is the colors. We love the elegance, and we think that the matte-black and the matte-gray paint jobs look great. However, it would be good if we could choose some brighter colors as well, which would look especially good at the beach. Moreover, the Sixthreezero’s packaging skills could be a bit better, it seems. There are some reports that the bike arrives with minor chips and dents, which are not a big problem (these things happen). But, adding some more protection wouldn’t hurt anyone. All things considered, we couldn’t recommend the Sixthreezero Around the Block more if you’re looking for a fun little bike that will make a statement on the city streets!